Simply mark the centre points and let the QUADSAW® with its spirit level do the rest. Perfect cut, first time, every time - even through double layers up to 1 1/3"
The QUADSAW® was launched globally in 2018 to great success. 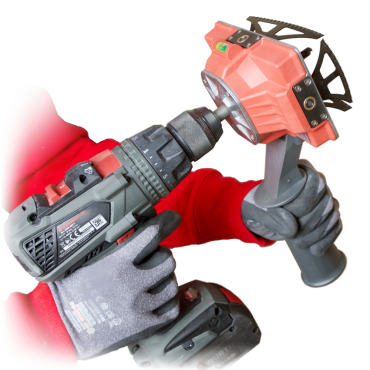 Our first model was designed to drill holes to meet UK socket standard sizes. Due to demand in North America, we have designed a U.S. version that drill holes to meet US standard dimensions. 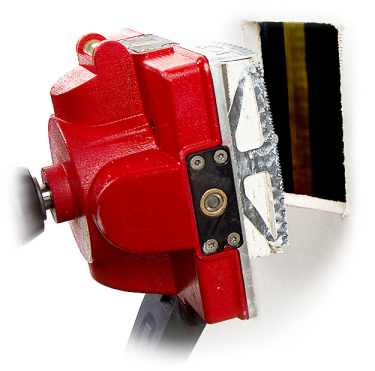 The U.S. QUADSAW® can drill holes for 1 and 2 gang sockets, and will work with both old and new work style boxes. Patented Technology. Registered patents in many global jurisdictions. QU4DSAW™ is a trademark owned by Genius IP Ltd.
QUADSAW® is a trading name of Genius IP Ltd.